Soon after returning home from the Channel islands I was off once again on another mission to tick off another high point from my list and this time I was to be accompanied by Chris. 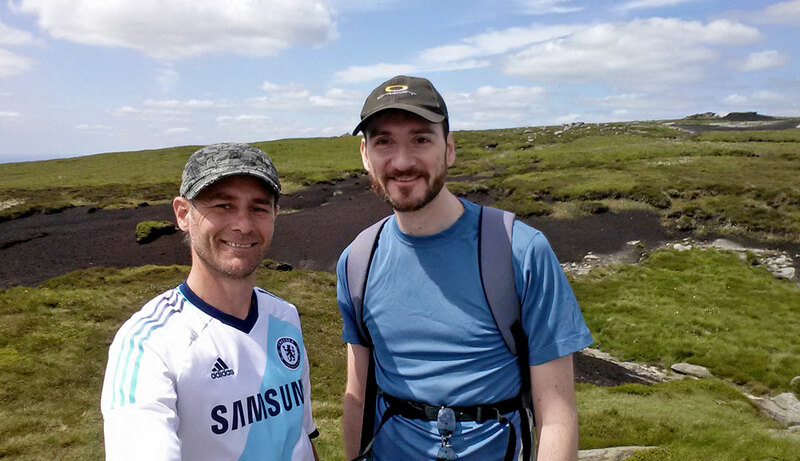 Chris lives in Bournemouth so I drove down to pick him up and then headed north to the Peak District in Derbyshire. 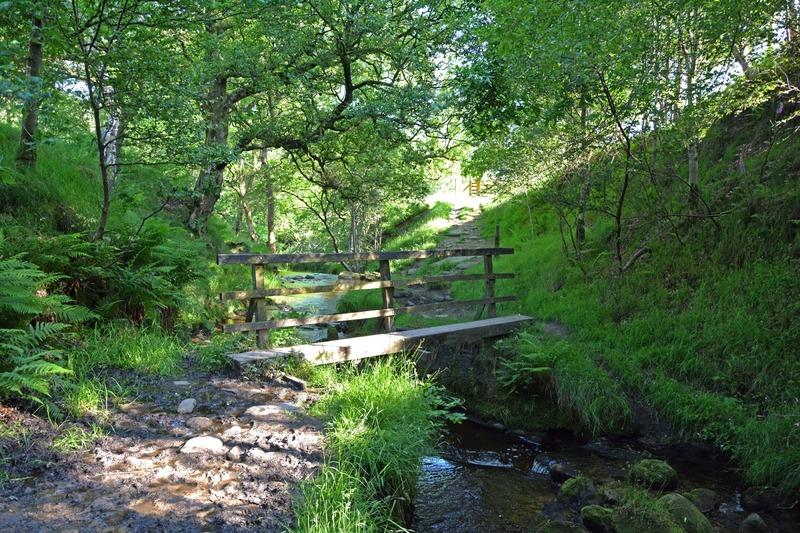 Our campsite was situated in the small village of Hulme End in the south of the Peak District not too far from the town of Ashbourne, It was a lovely campsite on the edge of a hill and we pitched up our tent right next to the river Manifold. It was not long before we were visited by lots of ducks. 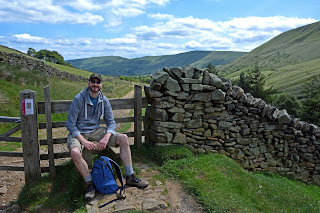 We had 2 whole days spare in the Peak District and were wondering what to do on our first day, after a bit of exploring and research we discovered there was a walking trail in the area called the Manifold Trail, it would involve a few buses but we thought it would be great to walk the entire length. 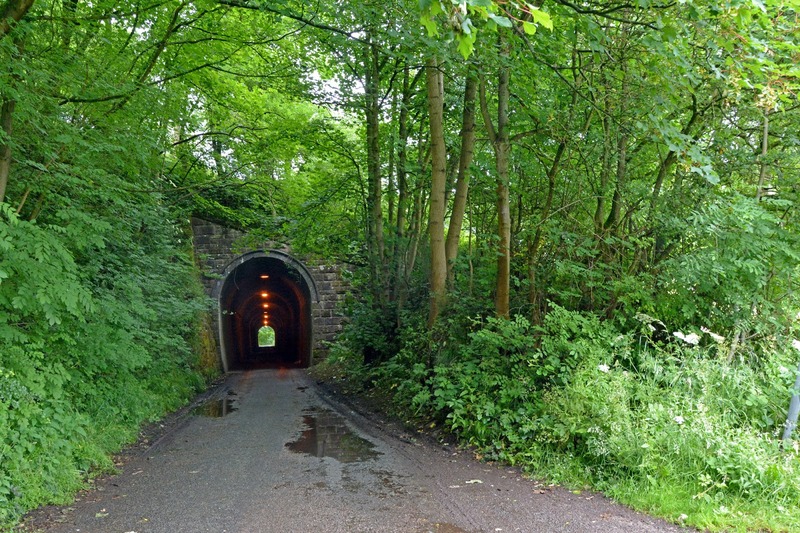 The Manifold trail is a 9 mile walk that follows an old steam railway along a river and through various valleys and past many other features such as caves, farms and old mines. We caught the first bus right from the entrance of the campsite, this took us to the town of Ashbourne where we had a quick wander around and we got some lunch to take with us, then it was bus number 2 which took an odd route through some country lanes to the small village of Waterhouses which marked the starting point for our walk back to the campsite. The walk was really nice, as it wound through the valleys and along the river, it was very green, I think there had been a lot of rain and as it was July there had been a lot of growth recently. The walk went over a few bridges and we were passed by a few people and cyclists but not many, it was nice for it to be so quiet. 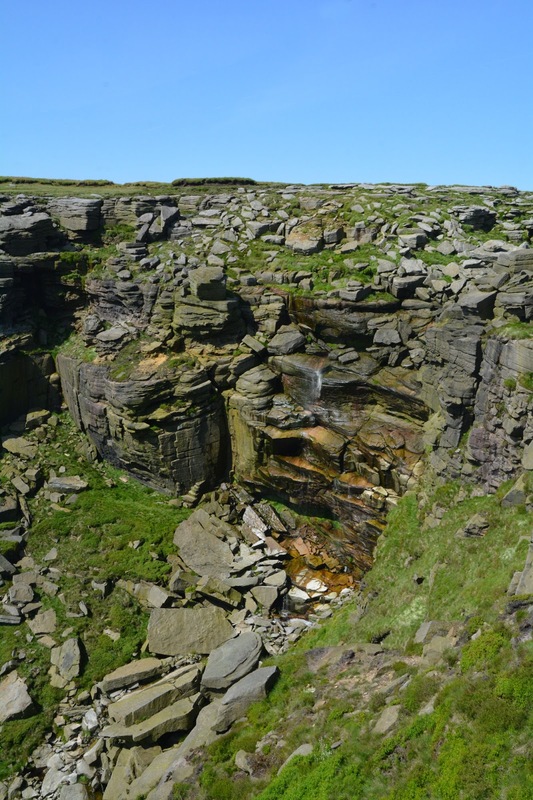 The path also passed below a few caves including Thor's cave, a natural cavern used by ancient humans to live in. 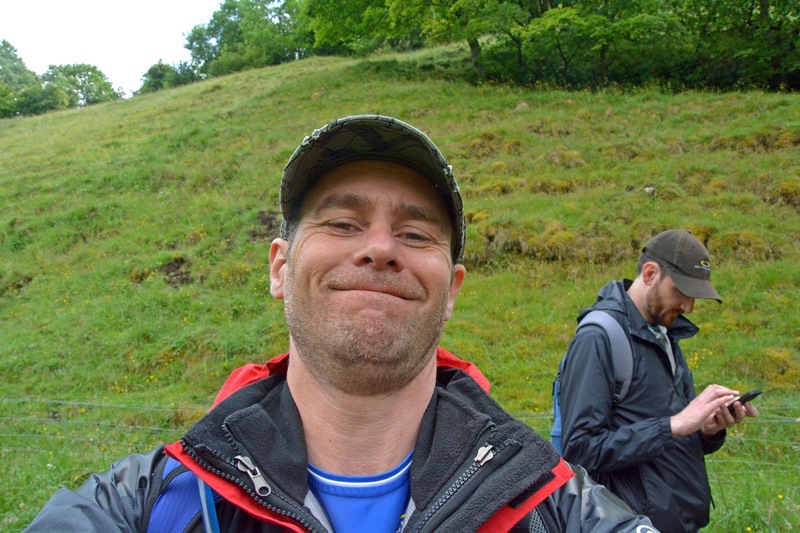 Eventually we came to the half way point which was marked by a little tearoom where we stopped for a drink and snack. 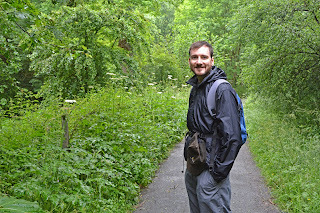 Moving on we carried on along the Manifold way, being an old railway line the trail was very flat so it was an easy walk, the trail also went through a very long tunnel which was cool. Eventually the trail took us into Hulme end where we found the original station still being used as a tourist information centre and a cafe. We ended the day with a relax and a nice dinner. 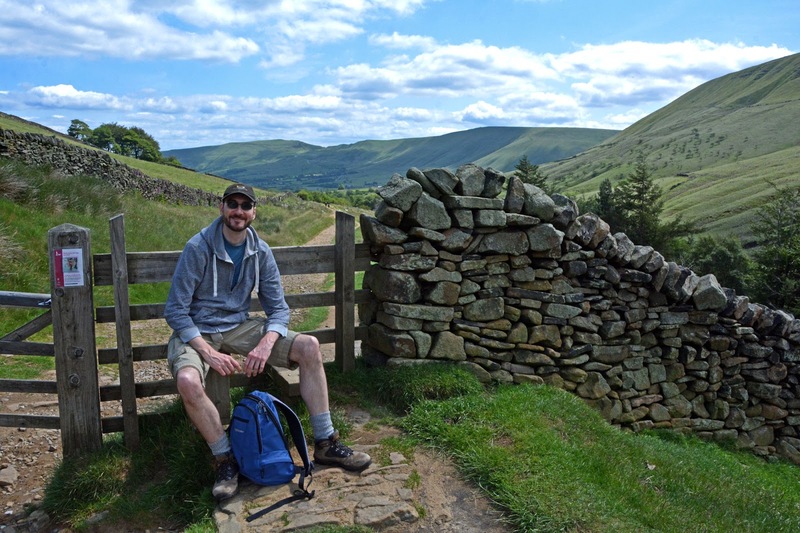 The next day it was time to tackle the high point of Derbyshire, it was a 40 minute drive but the scenery was lovely and we arrived at a car park not too far from the village of Edale. Leaving the car we headed north and along some roads and onto the pennine way which took us past a farm and along a valley. Crossing a river we were now starting to climb and the first part of the climb was called Jacobs ladder, a steep series of steps which helped us gain some height quite quickly. We were now high up on a ridge and up until now it had been quite quiet but we now came across some larger groups of people heading in the other direction so we pulled over to one side and let them pass. Carrying on upwards we arrived at some rocky outcrops where we stopped for some photos and then we made ur way onto the the top of Kinder Scout. Here is where it gets complicated, Kinder Scout is the highest point of Derbyshire however the top is so huge and so flat it is difficult to know where the actual highest point is, I had a rough idea so we headed across the marshy land and found what we thought was the highest point and took some more photos, The highest point is 636.3 metres above sea level. 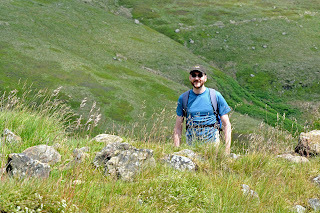 From here we had decided to do a circular walk around the top of Kinder Scout so we headed off again around the edge of the huge top plateau. 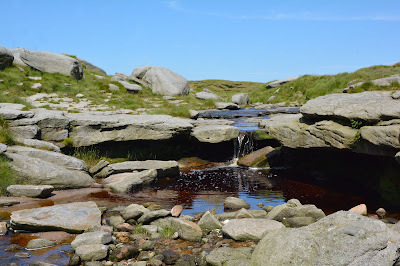 We stopped for lunch for a while and then moved on to find an amazing waterfall cascading down the side of Kinder Scout, We walked to the top of the waterfall and found the river and amazingly the water was really warm, it was almost bath temperature. Instead of following our planned route we decided to change our plan and follow the river across the top of the mountain. 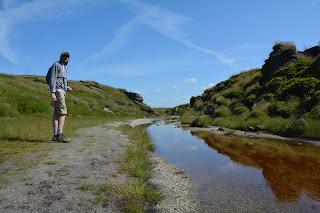 this was quite strange because as the whole area is very soft and peat-like any running water creates hundreds of mini deep valleys all over the top of Kinder Scout. 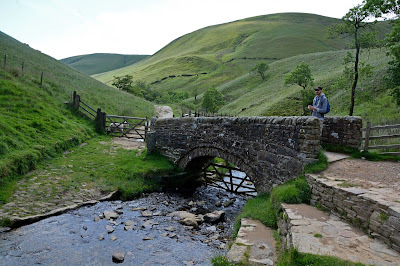 We followed some of these valleys for ages, they were all roughly 8-12 feet deep and we followed them for ages not really knowing which way we were going however we decided to climb up one of the valley walls so we could see where we were. 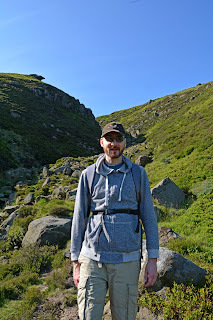 Once we were able to see our location we found we were still quite a way from the way down from Kinder Scout, it took a while to work our was across to the main path that runs around the top of the mountain and then we decided to take a much more exciting route back to the car. The route we had decided to take took us straight down to the car in a fairly straight line however the path was pretty much vertically down another waterfall, This was a bit worrying at first because as we stood on the edge looking down we couldn't actually see where the path went below us. 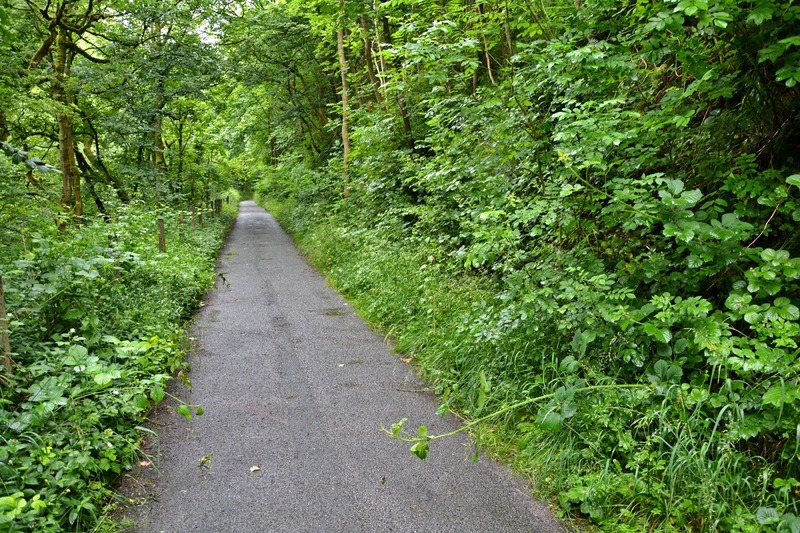 it was slow climbing but we found the path down and it was probably one of the most exciting paths I have ever taken. Looking back up at the route behind us we both couldnt believe that we had climbed down it. 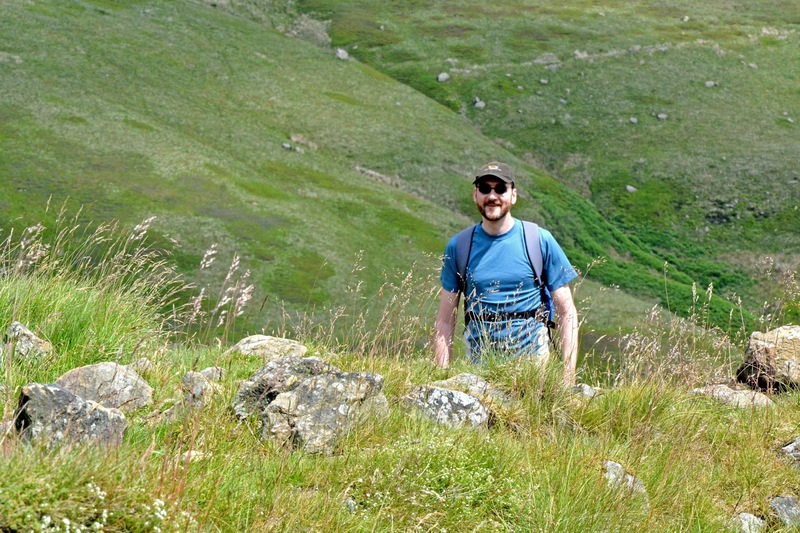 From here it was a fairly flat walk along a small stream and then back to the road and back to the car. That evening we had a meal at a local pub and then had another rest at the camp site before our long drive back home the next day. 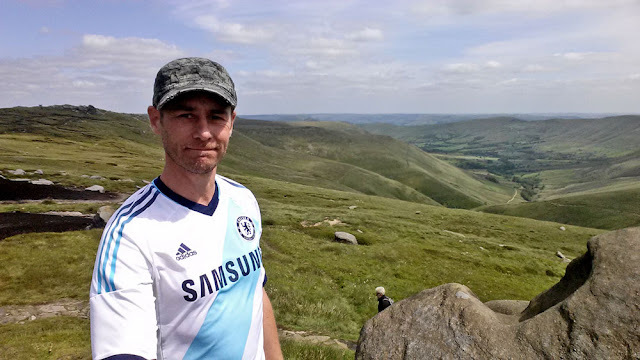 It was an excellent trip and the Peak District is an amazing place, Kinder Scout is well worth a climb as it is a fascinating place. 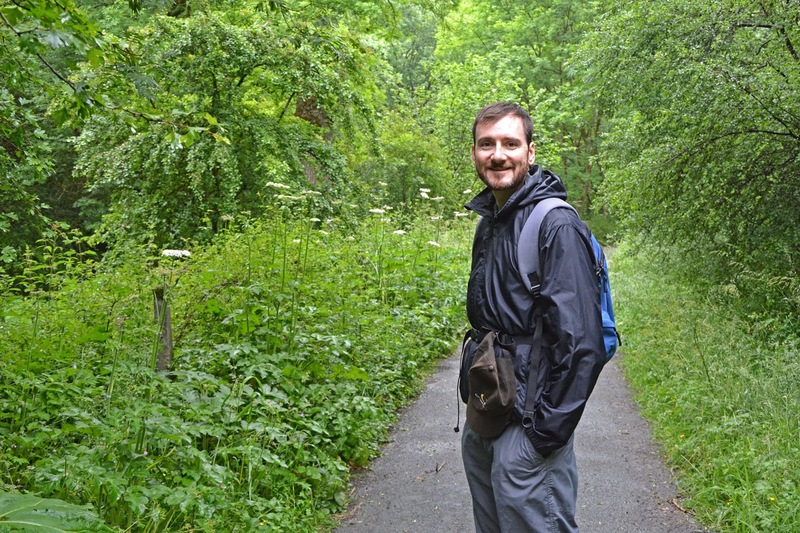 Thanks Chris for an excellent few days away.